APC Tooling offers fast and accurate plastic part design services. Our highly skilled team working with the latest engineering software ensures precise, functional and reliable design for your project no matter if it is only initial idea or a finished prototype. It does not matter if your project is in initial idea state or already a prototype, we will help you to speed up and improve your project. 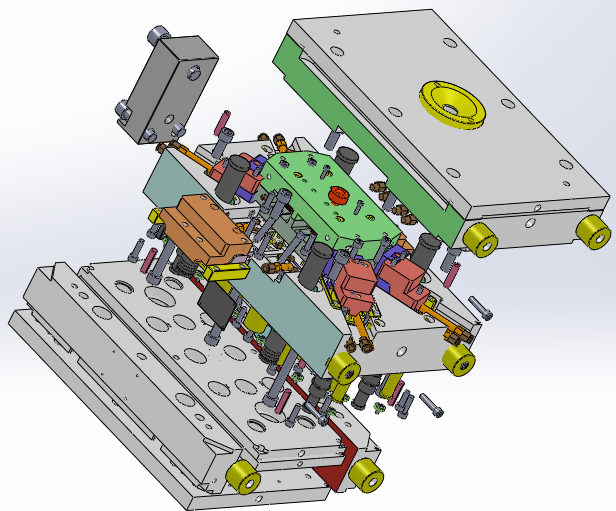 We offer fast and accurate engineering 3D design service. Having the most modern technologies of 3D scanning, we are able to use reverse engineering for huge variety of design services. Our highly skilled design team is ready to help you throughout the whole design process and share proposals for even better project. Using the latest innovative software we ensure precise, functional and reliable design for your future products. We ensure high quality of design by giving extra time for communication, consistency and teamwork. By having these values of APC Tooling we will create reliable design that ensures Your needs.